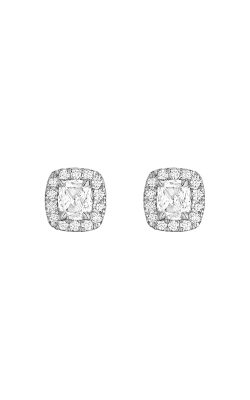 Simplistically elegant and timeless, stud earrings belong among the classics of style. They are the perfect accent with carefully crafted designs formed from only the finest materials. 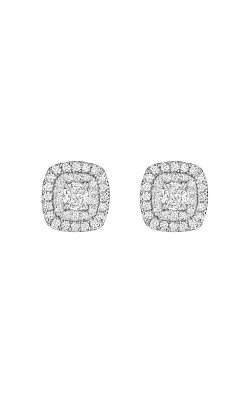 Stud earrings are specifically created to appear as if they are floating, with no visible attachment to the ear, thereby offering an entrancing illusion. They simply have a small clasp in the back to hold the earring in place. The range of available styles is endless, from the more elaborate halo to the delicate solitaire stud. 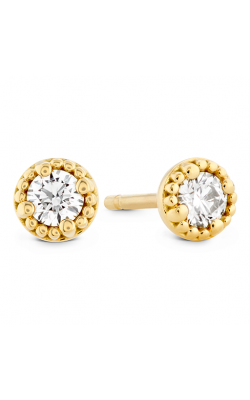 Unlike dangling or hoop earrings, studs tend to be less flashy and are more versatile. Thus they remain a revered choice for a clean, sophisticated, yet exquisitely chic appearance. 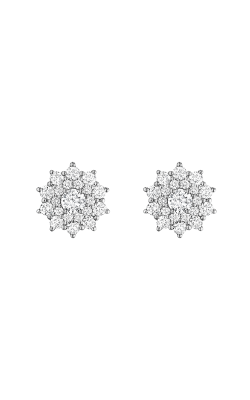 We at BENARI Jewelers present a number of stud earring designs. Hearts on Fire is one of our popular brands that offer stud earrings. The graceful Fulfillment and Lorelei collections have rings of clear diamonds, which contrast the spirited, star-shaped Illa models. Our Marco Bicego collection draws inspiration from his Venetian roots. 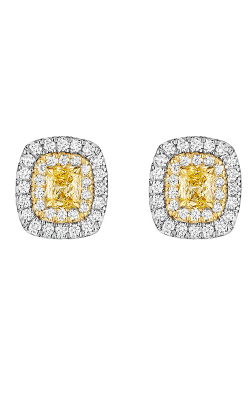 His Africa Gold and Jaipur Diamond Link collections are crafted from hand-wound 18k gold coil for a natural finish. Vibrant colors of nature are reflected in the Delicati and Jaipur Color collections. Further collections of stud earrings we have available include the John Hardy selection, drawing inspiration from the Balinese royal courts. The Classic Chain collection exhibits the signature woven-chain look, also reflected in the clean Modern Chain designs. 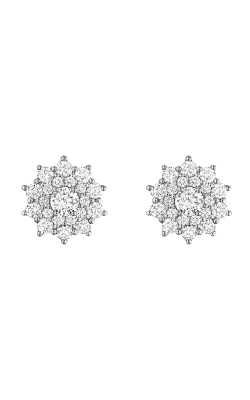 The Naga stud earrings have gold and silver scales, similar to the Legends collection which boasts leaf-shaped designs. The brand Tacori offers colorful variations of Lilac Blossoms, which display a lilac-colored gemstone; Island Rains, known for the teal stone; and Color Medley, contrived of brown or green stones. The radiant Bloom and Sonoma Mist collections consist of ravishingly delicate diamonds. 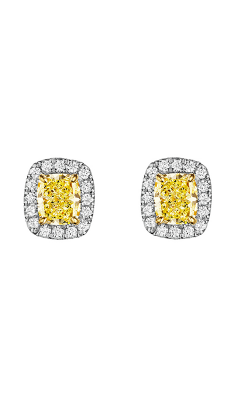 Why Shop for Stud Earrings at BENARI JEWELERS? 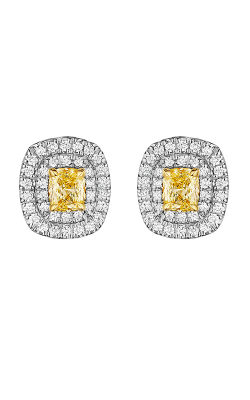 We at BENARI Jewelers work to provide a grand selection of high-quality, luxurious jewelry. We offer various services, including onsite jewelry cleaning, resizing, polishing, and repairs, as well as financing options. Our stores are conveniently located in Exton and Newtown Square, Pennsylvania, easily accessible from areas of Philadelphia, West Chester, and King of Prussia. BENARI Jewelers has been providing one of the largest collections of designer jewelry for over fifty years. For more information on the products and services available today at BENARI Jewelers, please visit our website at BenariJewelers.com or call (866)-363-0808.